machine. Thanks to the dust-protected keyboard and robust structure, the handheld control unit is ideally suited for hard workshop use. 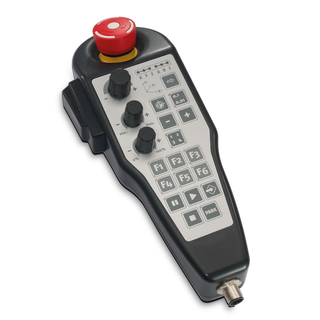 The handheld control unit for machines of the Pro Series is characterised by its ergonomic design and intuitive operation. This console is for continuing programme sequences when these are interrupted by messages. Thanks to the external placement of the W sensor, user-friendliness is enhanced, since the use of the W key on the terminal keyboard can be avoided. Thanks to the contactless sensor switch with LED display, up to four operating states can be displayed. 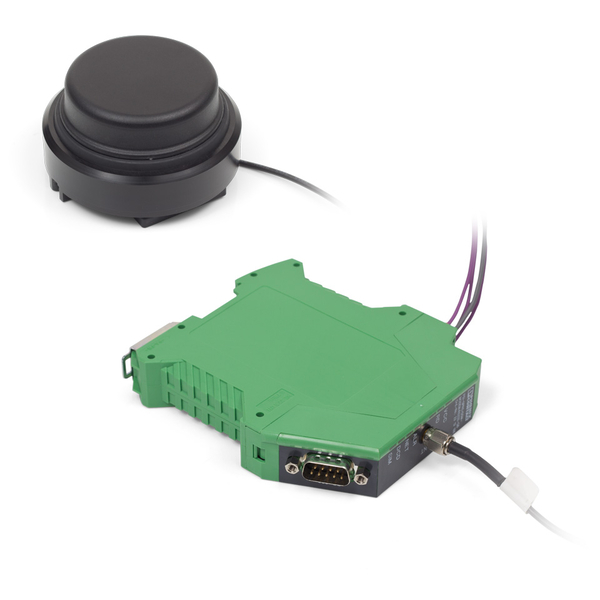 The two-fold control unit makes operation especially ergonomic since it is not necessary to mechanically actuate switches. The two-fold control unit is fastened to the machine via magnetic clamp plates on the bottom of the housing. The W switch is a re-start-up button. It is used to continue programme sequences when they are interrupted by messages. Status messages via SMS can be sent to up to 10 mobile phones using the GSM module. “Machine fault monitoring” and “Project end monitoring are supported by the software (also useable with Apple iPad® tablet). The protective keyboard membrane protects the keyboard of the operating terminal from the usual contamination one finds in workshops. The touchpad function is not impaired by the protective membrane.